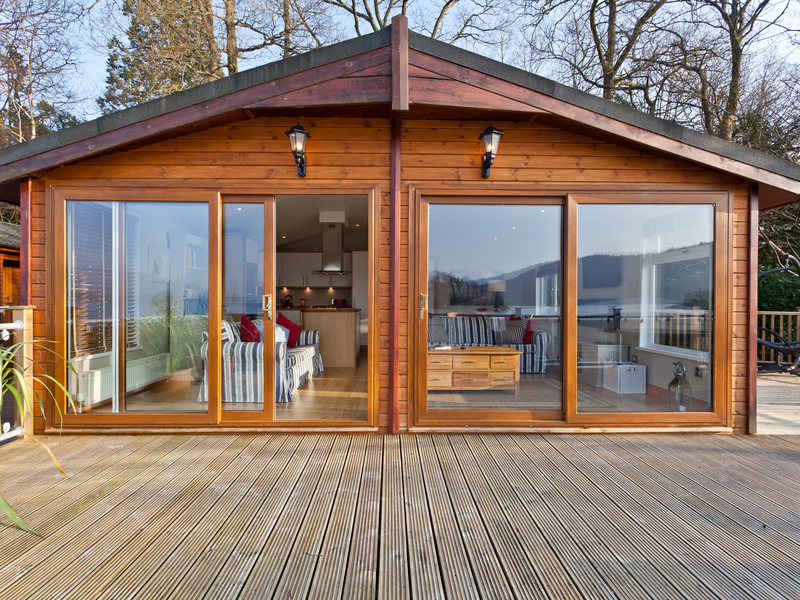 Lodge on the Lake is a beautiful, lakeside lodge set beside Lake Windermere on the edge of Bowness. With all ground floor accommodation, the lodge offers three bedrooms, one with an en-suite shower room, plus a family shower room and an open plan living area with kitchen, dining area and sitting area. Outside, the decking to the front and side is complete with furniture and BBQ, and offers a tranquil place to relax and watch the boats sail by. There is also off road parking for two cars plus an on-site bar, shop and children's play area. 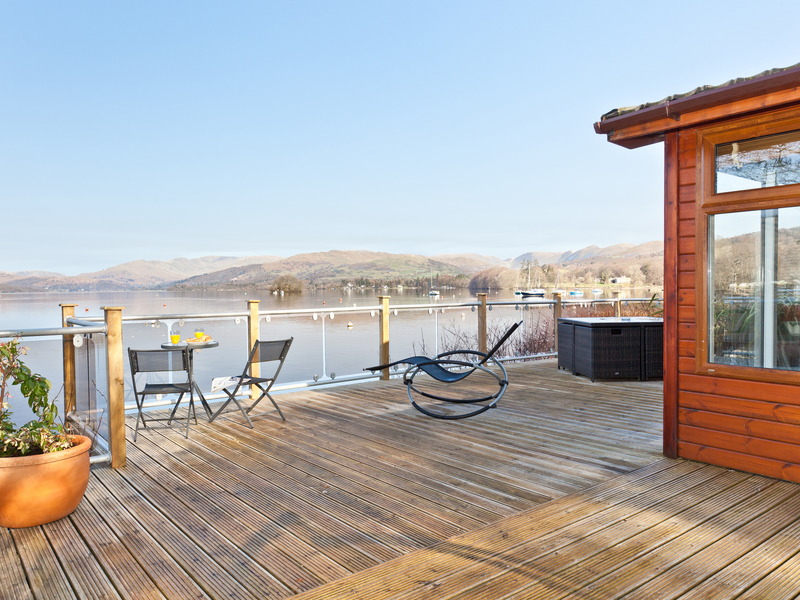 Lodge on the Lake occupies an outstanding location, and provides couples, friends and families with superior holiday accommodation. Gas central heating with electric fire. Electric oven, gas hob, microwave, fridge/freezer, washer/dryer, dishwasher, TV with Freeview, DVD, radio, WiFi, selection of books and games. Fuel and power inc. in rent. Bed linen and towels inc. in rent. Cot and highchair. Off road parking for 2 cars. Decking to the front and side with furniture and BBQ. Sorry, no pets and no smoking. Shop and pub 2 mins walk. Note: Approx. 3 steps to access lodge. Note: Due to waterfront location, children to be supervised. Note: Internet speeds vary across site, on-site computers available FOC. Note: Property is 1.8 Miles from Windermere Train station. We also have details of 147 other similar properties nearby which might suit you.